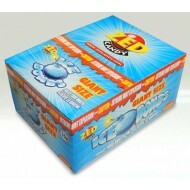 Giant Size Ice Bombs! 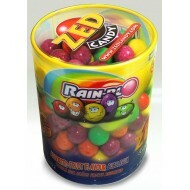 Mint Explosion! 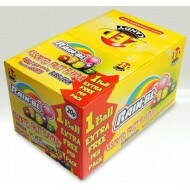 ..
Hard candy balls with a bubble gum centre. 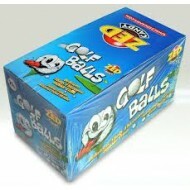 ..
~Hard candy balls with a bubble gum centre. 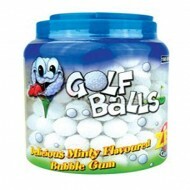 ..
Retro bubblegum at its best, colourful fruity balls, you get long lasting flavour in these Rainblo f..
A full box of assorted fruit flavour bubble gum ..
20P (New) Golf Balls 45Pk. 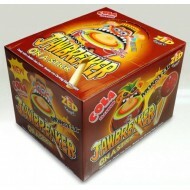 Halal Sweets are supplied in manufacturers original packaging. 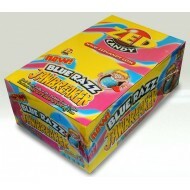 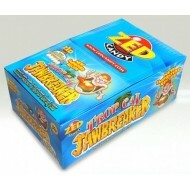 All p..
BLUE RAZZ JAWBREAKERS - 30PK. 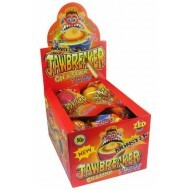 Halal Sweets are supplied in manufacturers original packaging. 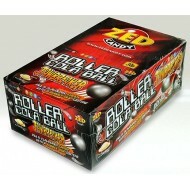 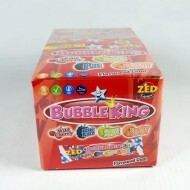 Al..
Zed Candy Bubble King Mixed Flavours 45 Pack halal ..
Retro bubblegum at its best, white minty balls, you get long lasting flavour in these Golf Balls fro..